A study of more than 100,000 surgical cases at University of Virginia Health System found patients’ pain scores improved even as doctors gave fewer opioids. UVA anesthesiologists reviewed 101,484 surgeries between March 2011 and November 2015 where patients received general anesthesia. During that timeframe, the average amount of opioids given per surgery at UVA declined 37 percent. At the same time, surgical patients’ self-rated average pain score on a 0-to-10 scale in a post-surgery recovery unit declined from 5.5 to 3.8 – a 31 percent improvement . As health officials across the U.S. look for ways to combat a opioid addiction crisis, UVA researchers believe their findings highlight one way to address the problem. Durieux points to two factors in how UVA was able to cut patients’ pain while using fewer opioids. One factor, he said, is that research has shown opioids make patients more sensitive to pain, though the reason why that occurs is unclear. So reducing the amount of opioids given to patients might by itself improve pain scores. The second factor was a significant increase in the use of non-opioid pain medications, such as lidocaine and acetaminophen, which is commonly used in over-the-counter pain medications. 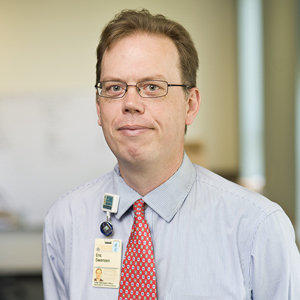 Anesthesiologists at UVA have regularly shared data with their colleagues about the benefits of using fewer opioids, Durieux said; in 2013, UVA also began implementing the Enhanced Recovery After Surgery program, which includes limiting opioids, for colorectal surgery patients. The average amount of non-opioid pain medications given per surgical case at UVA increased 120 percent during the study period. While the non-opioid medications have a lower risk for addiction, Durieux said, they cannot be used for all patients. For example, they can cause bleeding in some patients, and can cause kidney problems. The study’s findings were presented in December at the PostGraduate Assembly in Anesthesiology in New York. The study was presented by Gregory A. Smith, MD; Durieux; and Bhiken I. Naik, MBBCh.